CBS announced today that CRIMINAL MINDS has been renewed for the 2013-2014 broadcast season, becoming CBS's 20th series to be renewed for next year. 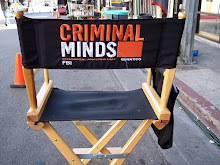 Currently in its eighth season, CRIMINAL MINDS ranks as Wednesday's number one drama in viewers (12.24m), adults 18-49 (3.3/09) and adults 25-54 (4.3/10). 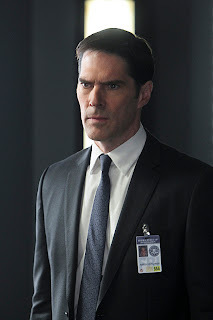 CRIMINAL MINDS, about an elite team of FBI profilers who analyze the country’smost twisted criminal minds, stars Joe Mantegna, Thomas Gibson, Shemar Moore, Matthew Gray Gubler, A.J. Cook, Kirsten Vangsness and Jeanne Tripplehorn. Mark Gordon, Erica Messer and Janine Sherman Barrois are executive producers for ABC Studios in association with CBS Television Studios. Fantastic - Glad for the whole cast-especially A.J. and Kirsten-they richly deserve what they got.CBS-finally did some good for CM. Relieved to see they're back for another season. Nice to have a show that makes you think (and can teach you something maybe lifesaving too) instead of those mindless un-reality things. Morgan and Garcia need to get married!!! That's to bad. I didn't think Blake was a good fit. I preferred Prentice. I also hope that shows get back to the original story lines. Love the show! BUT.....Reid, (Matthew). PLEASE do something with that nasty looking hair!